Today, some of Austin’s historic churches are nearing an age where they are more than one hundred years old. In fact, one of Austin’s oldest churches, St. David’s Episcopal Church in downtown Austin, is over 150 years old. Many of these old religious buildings are very solid in structure, but they contain elements that need regular care, such as stained glass windows. Stained glass, when it gets to a certain age, starts to lose its structural integrity from years of being exposed to the rain, heat, and climate conditions. Lead heats up, melts into a new shape, and then hardens once it cools down, becoming slowly distorted over time. This puts pressure on the glass pieces, often so much that they start to crack or fall out. 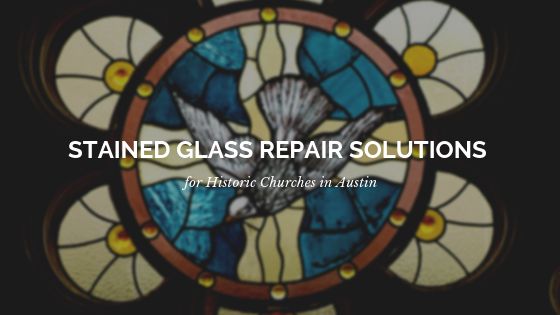 By opting for stained glass repair, Austin churches can preserve their stained glass windows and keep their beautiful historic building fully intact so it can be enjoyed by future members of the congregation. If you are concerned that your stained glass windows may be at an age where they require repair, you may want to start with a self inspection. A great way to do a self diagnosis is to stand beneath the windows and gaze upward. Do you see any areas where the glass is bulging or convex in appearance? Are there any noticeable cracks in the lead caming or the joints where the lead is soldered together? Signs of stained glass deterioration include white or chalky leading, reinforcing bars separating from the glass, fading in painted glass pieces, and dark build up on the glass. If you notice any of these signs in your historic church stained glass, repairs from an Austin stained glass professional may be necessary. When it comes to repair, it’s best not to wait. Onsite repairs – Stained glass windows with a minimal amount of damage may be able to be repaired onsite. In this case, the glazing putty holding the glass in place is chipped away, the glass is removed, and repairs and cleaning are completed onsite. Offsite repairs – In the case that damage is extensive or the glass is very fragile due to its age or condition, offsite repairs may be necessary. If this is the case, then the stained glass will need to be removed and brought to a repair studio. Once at the studio’s workshop, the stained glass will be soaked, cleaned, taken apart, repaired, and reassembled. 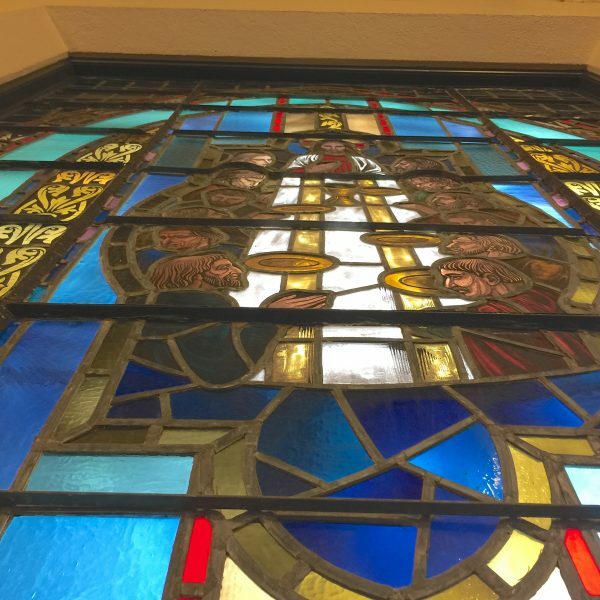 Are you concerned that your historic church may need stained glass repair? Contact Austin’s stained glass experts at Scottish Stained Glass to schedule your consultation today!